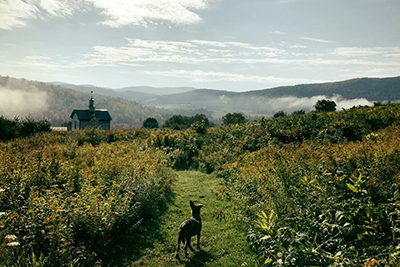 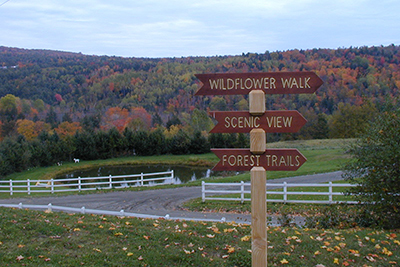 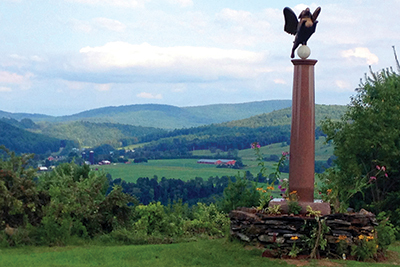 Dog Mountain is set on 150 acres of mountaintop in St. Johnsbury, Vermont. 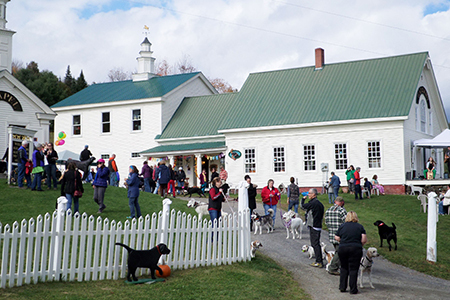 The grounds are always open to people and their dogs. 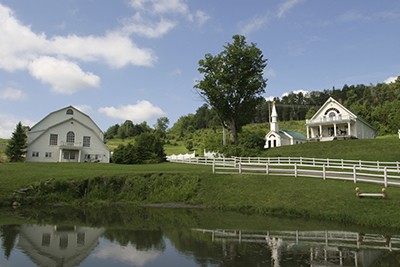 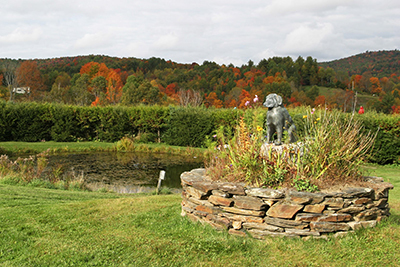 Home to the Stephen Huneck Gallery and The Dog Chapel, this unspoiled haven is covered with hiking trails and dog ponds. 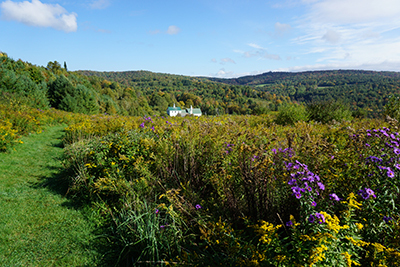 Wildflowers abound in the summer and snow-shoeing is a favorite activity in the winter. 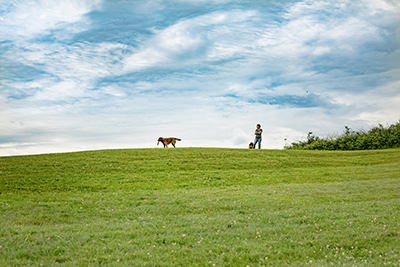 Leashes are optional on Dog Mountain. 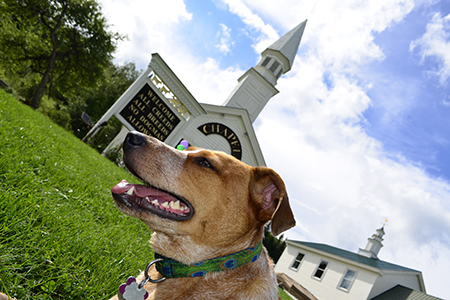 Dogs are not just welcome here, they are cherished! 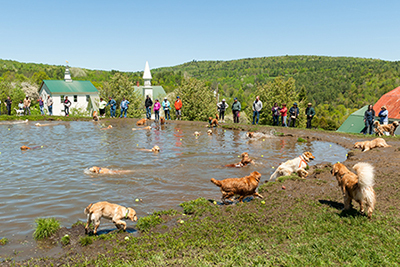 Dogs are free to run, play, swim, and, best of all, meet other dogs! 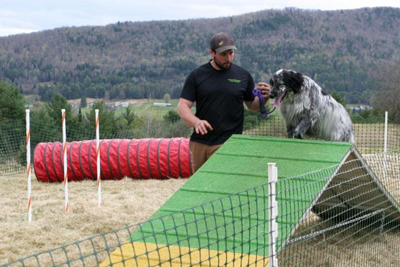 The dog ponds and obstacle course are pup favorites! 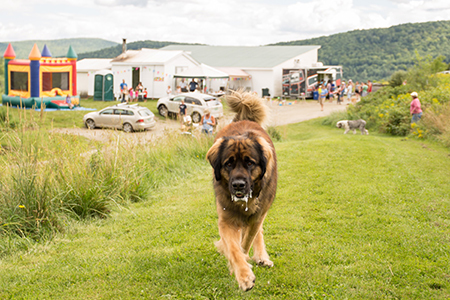 Several times a year, Dog Mountain hosts outdoor concerts and unforgettable Dog Parties. 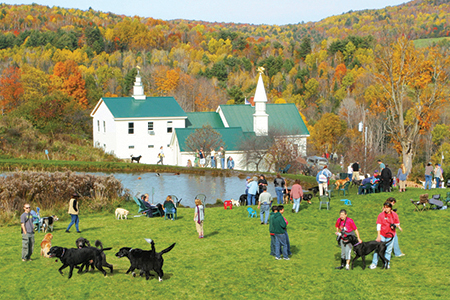 Hundreds of people with hundreds of dogs attend these festivities, many meeting friends and returning year after year. 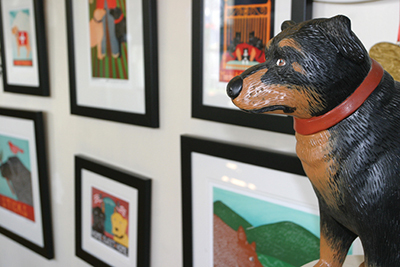 Everyone has a ball! 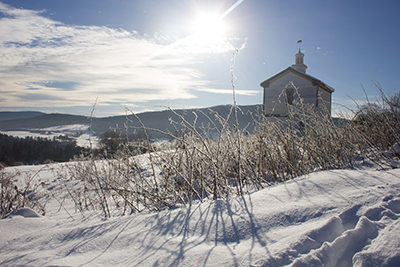 Click Here for dates and details on this season’s events. 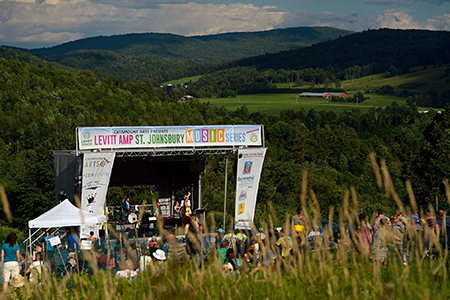 For two years in a row, The Levitt AMP St. Johnsury Music Series activated Dog Mountain! 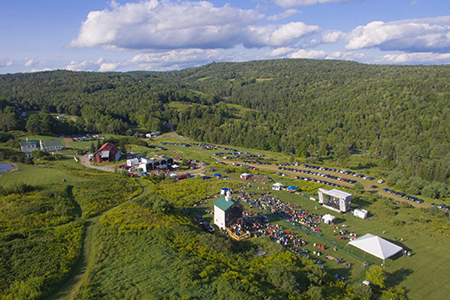 Presented by Catamount Arts, the summer concerts feature a diverse lineup of musicians from all over the country. 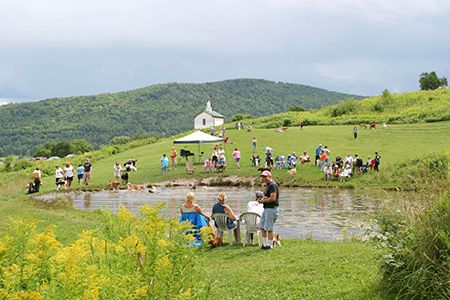 Every year the series draws thousands of concert-goers to Dog Mountain on Sunday evenings throughout the summer. 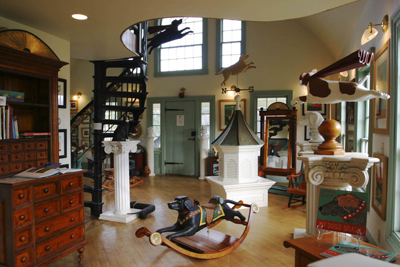 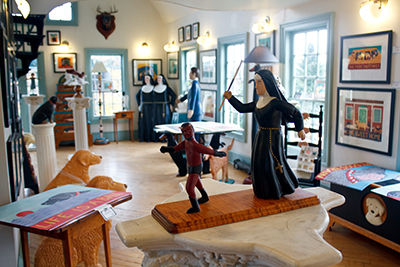 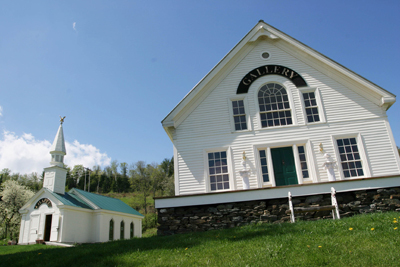 The Stephen Huneck Gallery on Dog Mountain, housed in an artistically renovated farmhouse, includes a collection of the Vermont folk artist’s original woodcut prints, giclees, NY Times best-selling “Sally” series of children’s books, furniture and other unique items. 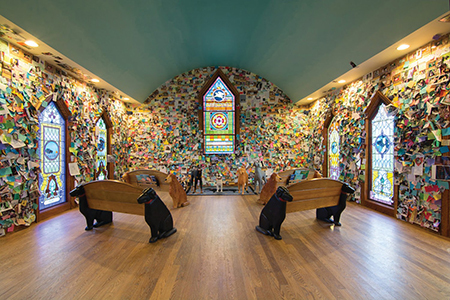 Here visitors experience the whimsical, awe inspiring work of Stephen Huneck and can take home a piece of Dog Mountain. 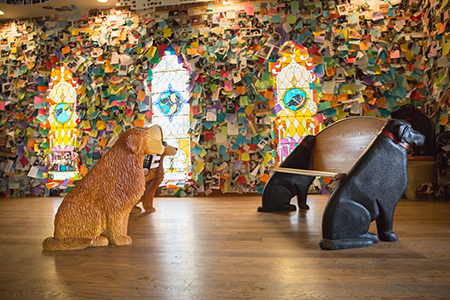 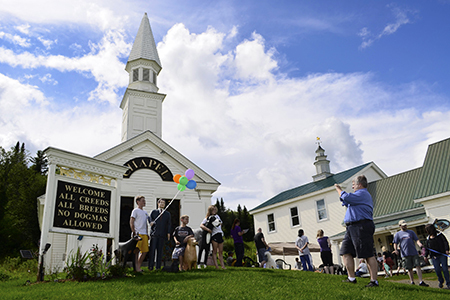 Thousands of people from around the world visit the Dog Chapel each year. 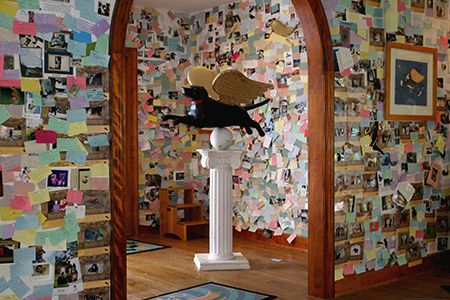 The interior walls are covered floor to ceiling with photos, drawings, letters, and keepsakes left as memorials to beloved departed pets. 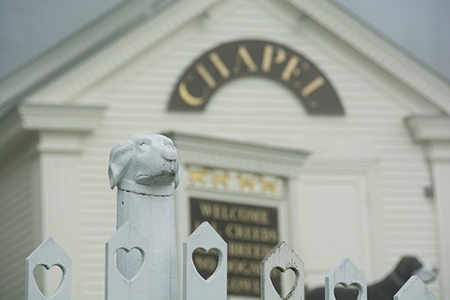 The chapel is a place of quiet and colorful beauty, gentle humor, and profound love. 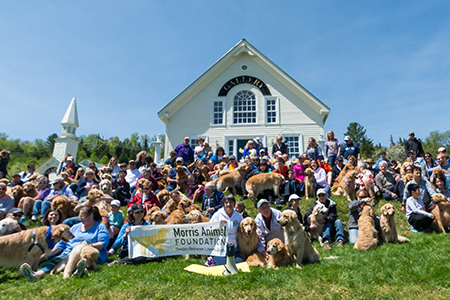 A visit there is a unique and moving experience for all animal lovers.